Beautiful Things Can Emerge from Life Not Going as PlannedWhen life takes one too many unexpected turns, do you find yourself saying, "I don't know who I am anymore"? 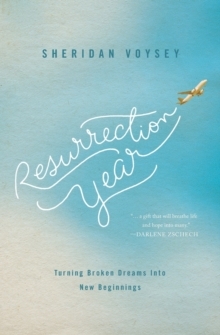 In the wake of shattered dreams, do you wonder how you will keep going-and if you'll ever find purpose or joy again?After infertility, an international move, and a professional change shook Sheridan Voysey's world, he realized that he couldn't reconcile his expectations with the life he was living. Feeling lost, he decided to pair his spiritual journey with a literal one: a hundred-mile pilgrimage along the northeast coast of England. Inspired by the life and influence of the seventh-century monk Cuthbert, Sheridan travelled on foot from the Holy Island of Lindisfarne to Durham. Taking his friend DJ along for the journey, and keeping a journal by his side, Sheridan discovered not resolution but peace. Not ambition but purpose. Not shouts of convictions but whispers of the presence of God. 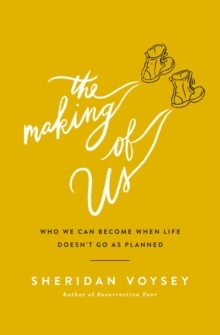 In The Making of Us, Sheridan invites us to join him as he walks along England's shores and we trace the borders of our own hearts. 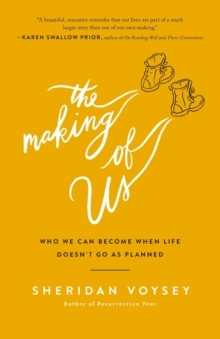 Part pilgrim's journal, part call to reflection, The Making of Us eloquently reminds us of the beauty of journeying into uncertainty, the freedom of letting go, and the wonder of losing our identity only to discover who we really are.